Hold your holiday fete here, and keep your company’s copy machine clean. You’re Trying to Impress: The exec who’s buying your company. 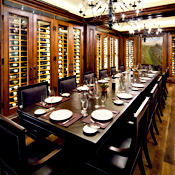 You Deliver With: A secluded wine room lined with hardwood and wine bottles. 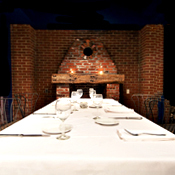 While you order veal medallions and rack of lamb, a dumbwaiter in the corner raises bottles from their 1,000-strong cellar. It also raises your esteem. You’re Trying to Impress: A senator’s daughter. You Deliver With: Smith Point, the former nighttime haunt of the Bush twins, now recast as a private events space with a brick dining room, two patios and two bars. You know, like twins. You’re Trying to Impress: Your record label. 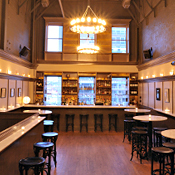 You Deliver With: The vaulted ceiling upstairs at the Hilton brothers’ ode to live music and oysters. You’ll get towers of shellfish, silent French noir movies from the projector, copious gin drinks and a DJ for the night. You’re Trying to Impress: Your heavily tattooed barista. 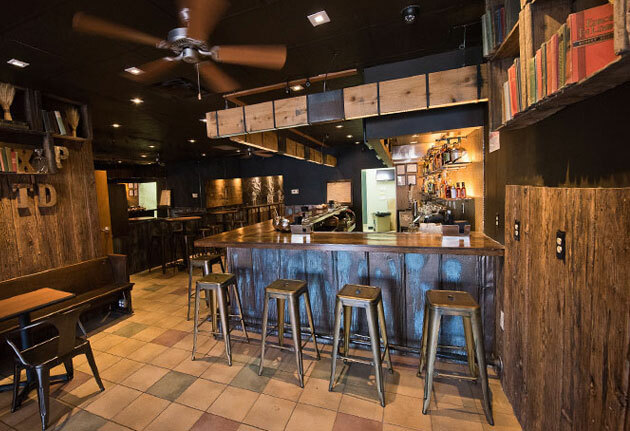 You Deliver With: A whole bar at H Street’s hipster bastion of Belgian beer. 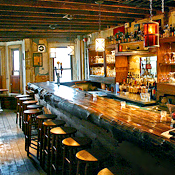 It’s cozy up there, but that means you’re always nice and close to the dozens of beers and the mussels. There’s nothing like an open mussel bar. You’re Trying to Impress: Newt Gingrich. 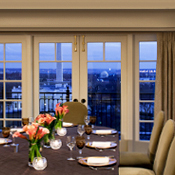 You Deliver With: Perhaps the most impressive view of the White House and monuments in all of downtown, in two newly renovated rooftop dining rooms. Also: food items like chestnut soup and hazelnut crème brûlée. It’s what all the statesmen are having for dessert.